Marvel is going all out to promote the new Fantastic Four launch. There are going to be a ton of variants but the publisher has also created a promo video highlighting the upcoming story and showcasing the thought that went into the new series. The series is going to have the company's top notch talent with Dan Slott writng and Sara Pichelli as artist. 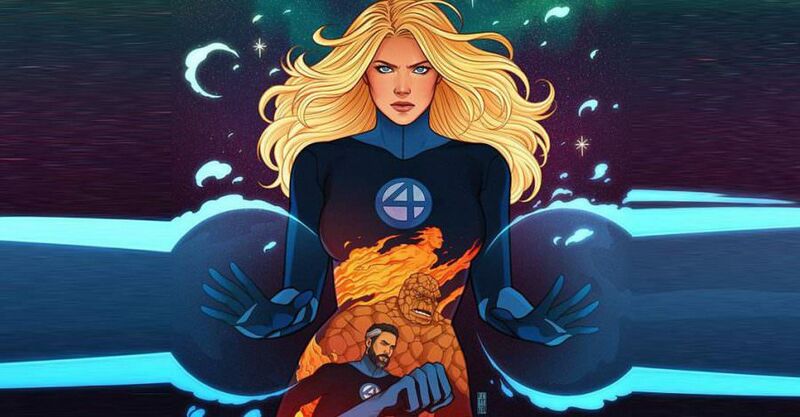 After years of either not existing, or being in the back ground its going to be nice to see Fantastic Four back in the forefront of the Marvel Universe. Its almost like Marvel managed to buy back the film rights for Fantastic Four from Fox.....Oh wait they did. :) Cynical jokes aside I am happy with what they are doing here and hope some of this carries over into the MCU. Go Behind The Scenes of FANTASTIC FOUR #1! Dan Slott, Tom Brevoort and C.B. Cebulski tease the first family’s epic return! New York, NY—August 6, 2018— 57 years to the day that the world was introduced to the Fantastic Four, a new tale will begin for Ben, Johnny, Reed and Sue when FANTASTIC FOUR #1 hits comic shops, featuring an all-new story from superstar creators Dan Slott and Sara Pichelli! Marvel is proud to present this behind-the-scenes look at FANTASTIC FOUR, featuring Slott, SVP and Executive Editor Tom Brevoort, and Editor-in-Chief C.B. Cebulski! “One of the strengths of Stan and Jack is that you never knew what you were going to get in Fantastic Four. You’re always seeing new worlds, you’re always seeing new ideas,” says Slott. “Sara Pichelli has such a wonderful sense of character and sensitivity in her drawings that she really brings these characters to live,” adds Brevoort. 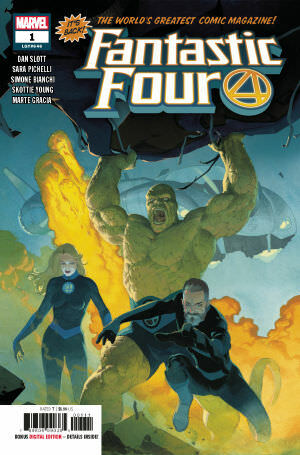 Don’t miss FANTASTIC FOUR #1, on sale August 8th in comic shops, on the Marvel Comics App, and on Marvel.com!